Using cloud services for managing and delivering video internally and externally can speed up deployment and simplify operations for the applications that use video, without compromising content security and preserving investment in on-premises infrastructure. Consequently, understanding the operational, technical and economic considerations for the use of Cloud-based video communications is now a priority for executives looking to drive employee engagement, increase agility, reduce infrastructure and operational management costs and improve service automation. Company executives have become increasingly interested in video because of its many business uses which range from employee on-boarding and training to collaboration and knowledge sharing, from customer service videos to leadership events and company all-hands meetings. However, flexibility is also required, with companies wanting to be able to manage some video-related applications in the Cloud, whilst using their own networks for distribution. There are certain security risks associated with cloud computing and the primary goal of any cloud deployment is to protect the company network, maintain data integrity and ensure content security. Organisations want a scalable, robust and secure cloud offering and to have everything from password-protected content to SSL-secure communication, single sign-on capabilities and usage audit trails. If your business goal is to provide on-demand video to your audiences and your video content is for marketing purposes, your security requirements are limited and the public cloud may be a good choice. Additionally, if your content is internal facing, there are a lot of very good options to protect it even in a public cloud hosted environment. Users can be safely enabled to upload, transcode, share their own videos and find relevant content. Access rights based on user groups can be assigned and the reach of your video programs extended to mobile device users. If however your business goal is to deliver live streaming to internal audiences, there are limitations to be aware of which are related to concentrations of viewers on private networks. When a live event begins, all stream requests traverse the company firewall and hit the video service in the cloud. The challenge is that the return video traffic, unless managed, will go through the network firewall with a separate stream for every viewer, adversely affecting the inbound internet connection or even the entire intranet. 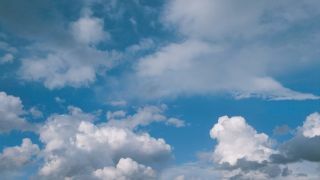 The primary goal of a hybrid cloud solution is to protect the internet connections and the company's intranet from overload when a large number of users are tuned in. In this case, hybrid cloud deployments are defined as leveraging edge devices on the corporate network for stream splitting and caching to minimize impact to the corporate network. A video platform available as a cloud, hybrid cloud, managed service or on-premise solution will offer organisations a choice of deployment models for each stage of video adoption so that customers are never "locked-in" to any one deployment method. We live in a digital world and all companies are becoming media companies. Video in the cloud is an easily adaptable business platform that offers an immediate, low-risk and flexible solution to the complexity of video implementation and distribution, providing your employees and clients with a dynamic, collaborative medium. With the right platform in place, you can choose the Cloud solution that best fits your needs and your enterprise video system will be able to grow and evolve right alongside your company. Martin Nurser is VP EMEA at Qumu. He brings more than 25 years of enterprise and technology industry experience with emphasis on engineered systems and cloud technologies. He is a leading expert in channel and strategic alliance development and management, go-to-market planning, as well as market segmentation and business strategy formulation.